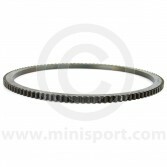 Time for a new Flywheel Ring Gear? 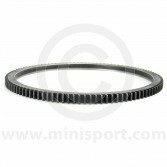 Here at Mini Sport we stock a high quality collection of Flywheel Ring Gears and parts for all Classic Mini models. 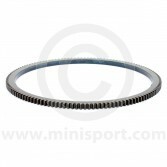 We are stockists of Thick and Thin Inertia Type Flywheel Ring Gears – suitable for Mini’s from 1959- 1985, Pre Engaged Type Minis issued between 1985 – 2001 and Pre Engaged Ring Gears for Automatic Mini’s with Torque Convertor.  We supply a comprehensive selection of Flywheels parts for Classic Mini Clutch Systems online here, including Flywheel Housing, Flywheel Bolts and Washers and Ultralight Flywheels.